Elli has been mated to Ice in November 2009. 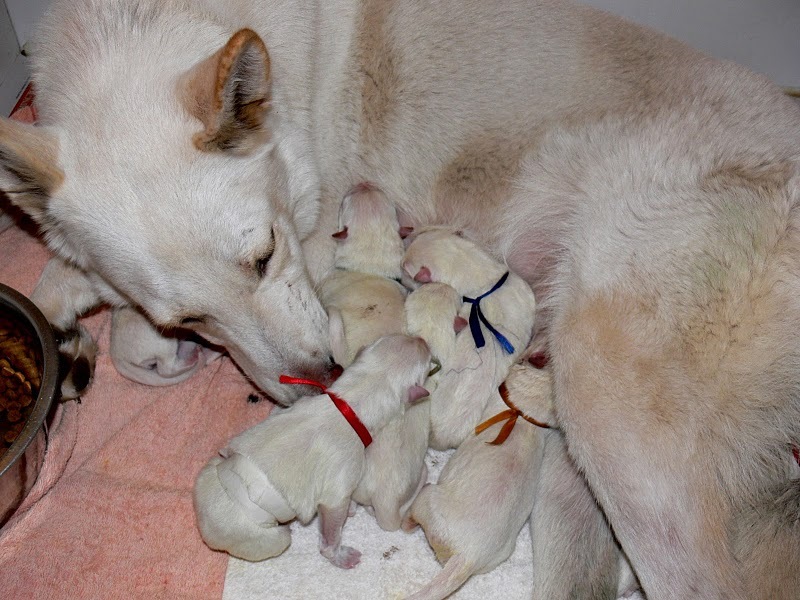 The pups were born on the 23rd and 24th of January 2010. There are 9 pups, 6 boys and 3 girls. Both parents are in excellent health from healthy lines, with great temperaments and excellent conformation. Both dogs are MDR clear and have had their hips and elbows scored, which can be found on their individual pages. Both Ice and Elli have done well in the show ring, as have some of their offspring. Ice has produced atleast 5 BIS winners, both here and internationally. 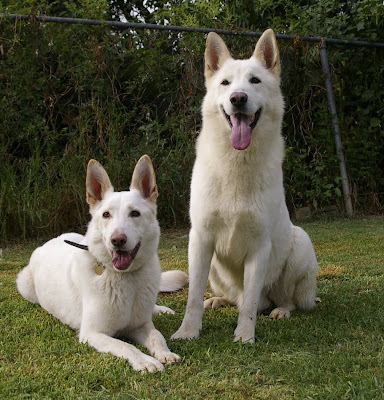 We expect this litter to contain mainly short coats as we are currently unsure whether Elli carries the Long Coat gene, be pure white with excellent pigmentation and mid sized in the White Shepherd Standard. Thank you very much to Angela Sneddon of Alpinarc White Shepherds for allowing us the honour of using the Iceman for this litter. This is a very special litter for us. If you are interested in a puppy from this litter, please contact us.